Does your child love video games? Would you rather they were learning something useful? 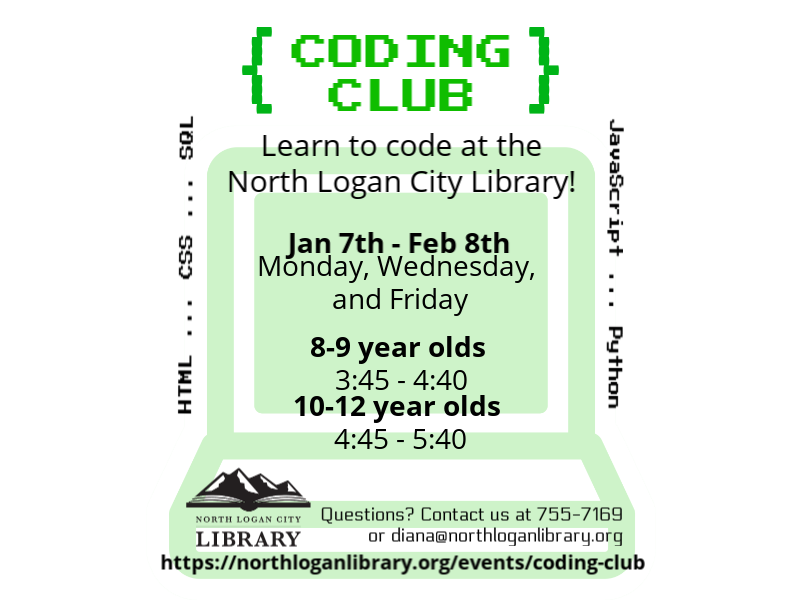 Sign them up for Code Club! Code Club is a self-paced, kid-friendly program designed to teach computer programming languages like HTML, CSS, and Python to children and tweens. Kids will make their own games and websites while learning valuable tech skills. No prior experience required! Coders meet 3 days a week for a 5-week session. Children may re-enroll in subsequent sessions as space permits.